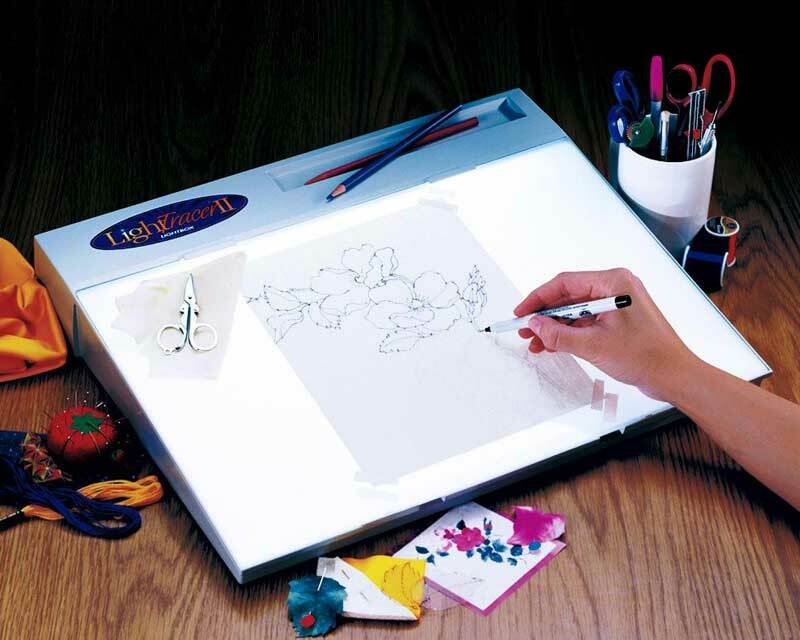 ARTOGRAPH® Lightracer ll® The new, affordable Lightracer ll boasts a generous 12" x 18" tracing surface illuminated by 7500 hour 18" 15W daylight fluorescent lamp (included). Features a conveniently slanted tracing surface for comfortable drawing and embossing and a handy tray, recessed into the top of the lightbox that’s great for holding tools. Ideal for accommodating the needs of quilters, fabric decorators, stencillers, embossers or any artist or crafter requiring a larger tracing surface. Boxed in a handy storage carton. 94 points will be rewarded when you are logged in to your account and buy this item.